Want to be hired by OdinBuilders? We are currently looking for a reliable and insured (general liability as well as worker's comp) roofing crew to install METAL ROOFING on multiple jobs. 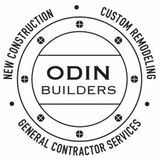 At Odin Builders, our sub-contractors are very important to us and we strive to create long-term positive working relationships with them. We pay competitive prices and make sure to pay subs on-time because we highly value reliable subs who do good quality work with the right insurance. As a general contractor, we are always interested in finding reliable contractors in all different trades (siding, gutters, drywall, framing, various roofing system types, etc). Even if you are not a metal roofing crew, please reach out to us if you are interested in working with us on future projects. Let's start the conversation now so we can all be ready to hit the ground running as projects come up. Looking for a reliable english speaking roofing crew that wants steady work and above average pay.